MacLellan Rubber are an authorised distributor of The Chemours Company FC, LLC manufacturers of Genuine Viton compounds. We offer a range of Viton Rubber Sheeting materials to meet the technical demands of our global customer base. Viton Rubber is globally recognised for its exceptional chemical resistance at elevated temperatures. The Viton A grade is the material of choice for Aerospace and Petrochemical seal and gasket applications in contact with aggressive hydrocarbons and high temperatures, low temperatures or generally extreme conditions. The range of compounds has been refined to enhance resistance against specific chemical and support longer working life in specific environments – these include highly corrosive chemicals such as Toluene and Methanol and sustained extreme temperature or explosive conditions. Viton A is possibly the most widely recognised Rubber Material within the range and is often imitated by poor quality non Chemours brands from India and China – anything that is quoted as being Viton should originate from Chemours and is unlikely to perform to the same exacting standards. MacLellan’s Viton Rubber Sheeting range encompasses Viton A, Viton B, Viton F, Viton AL, Viton GLT-S, Viton GBL-S, Viton ETP-S, Viton GFLT-S and Viton GF-S. It should be noted that while MacLellan’s manufacture and stock Viton A Rubber Sheeting, many of the other grades are typically supplied as moulded sheets or finished parts due to the processing difficulties and cost of manufacturing them as Rolls of Rubber Sheeting. Other Fluoroelastomers include FFKM - perfluoro-elastomers and FEPM – tetrafluoro ethylene/propylene rubbers. 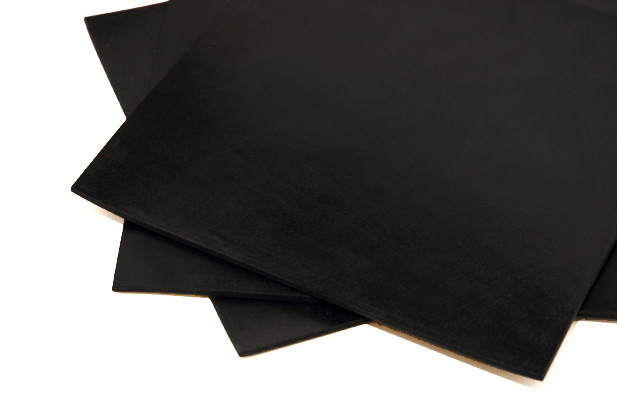 MacLellan’s FoodSafe Viton Rubber sheets complies with Federal Regulations 21 CFR 177.2600 making it suitable for applications in the Food Industry, Drinks, and Pharmaceutical industries. All of our Genuine Chemours Viton Rubber Sheeting is manufactured in the UK or Europe to ensure absolute compliance with the standard, using high quality Viton polymer. We offer a commercial Fluoropolymer (FKM) Rubber Sheeting for applications where the performance demands are above what can be achieved by other synthetic polymers such as Neoprene, Nitrile or EPDM, however this does not come with the same technical support and guarantees. Typically supplied on the roll, our Viton Rubber sheeting can be easily cut into sheets, strips or gaskets using the appropriate equipment. Viton is the widely used term for Fluorocarbon (chemical name Chlorotrifluoroethylenevinylidene fluoride) Rubber and is often shortened to FKM (widely used in the UK and Europe) or FPM (widely used outside the UK and Europe). Viton Rubber is a synthetic material developed by the Dupont in the 1930’s in Germany.